A new app for the iPhone and iPod touch was unveiled at CEDIA this week that allows you to control everything from home cinema and hi-fi products to electric blinds. 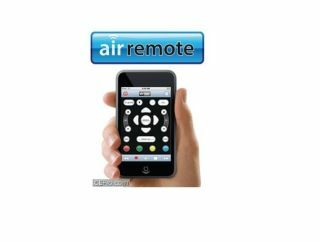 Called the AirRemote, the app enables you to turn the iPhone into a universal remote control and, according to its creator Steven Moore, it's "The greatest little TV remote you've ever used." TechRadar was given a demo at CEDIA and it does seem like a great product. Whether it's your television of Sky Box you want to control, the layout that appears on the screen of your iPhone is similar to that of a remote control, and the touch-sensitive buttons make is a cinch to use. The way the app works is through the use of WiFi. So, if the products you want to control are not WiFi enabled, then you need to buy a box called the Global Cache. Connect this up in your home and it will take the IP commands from the iPhone and convert them to either infrared, serial or contact-closure, depending on the system you are trying to control. "The beauty of the iPod touch or iPhone versus other tablets is that it has bullet-proof WiFi, doesn't need to wait for Windows to boot up, and can be held in a hand," says Moore about his products integration with Apple's handsets. The app will be available from the Apple App Story 11 July for around £50. If you want the Global Cache box as well, this will cost you a further £100.